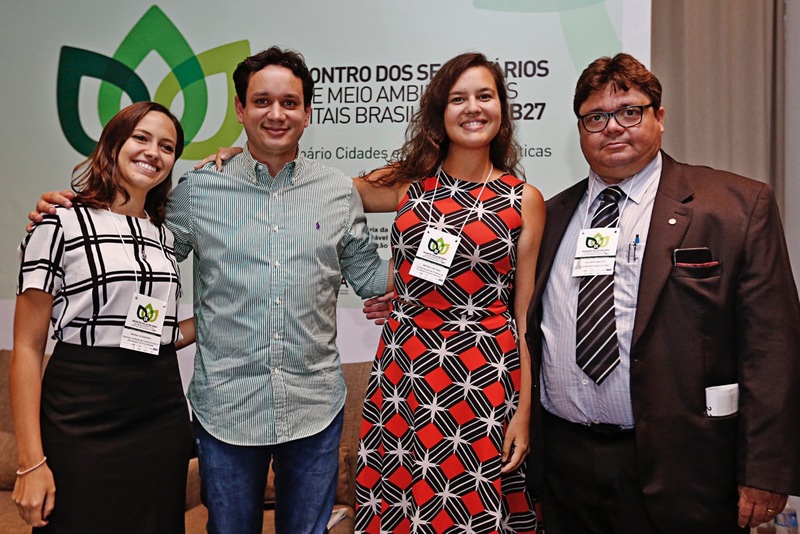 The impact of climate change on the cities was the focus of the IX National Conference of the Forum of Secretaries of the Environment of the Brazilian Capital Cities, CB27, which took place on March 12-15 at the Sheraton Hotel in Campo Grande, Salvador, in the state of Bahia. 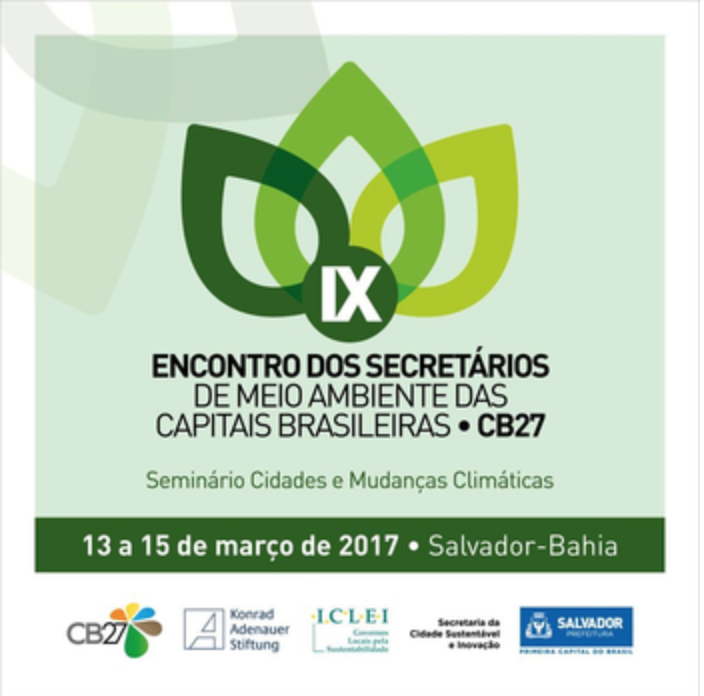 The event was attended by more than 20 secretaries of the environment from the country's capital cities, representatives from ministries, and civil society organizations. 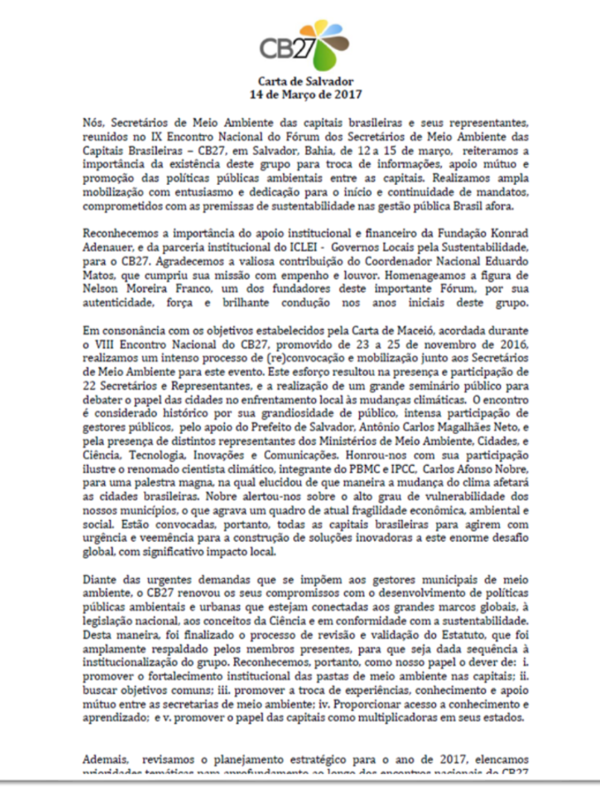 Among them, climatologist Carlos Nobre, President of the Board of Directors of the Brazilian Panel on Climate Change and member of the group of scientists of the UN Intergovernmental Panel on Climate Change (IPCC). 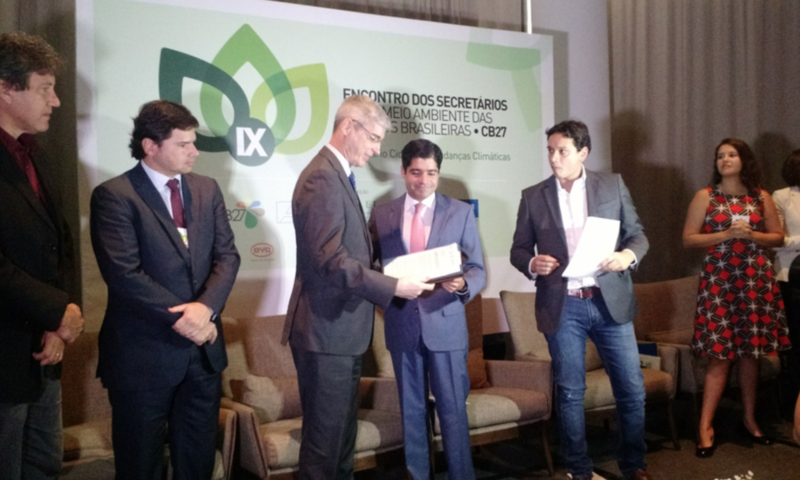 During the conference, the networks of local governments handed over to the Ministry of the Environment a document for Brazil's Nationally Determined Contribution (NDC) to the United Nations Framework Convention on Climate Change. The NDC is a document developed by the signatory countries, committing to promote the reduction of carbon emissions through goals and measures that support sustainability and the preservation of the environment. 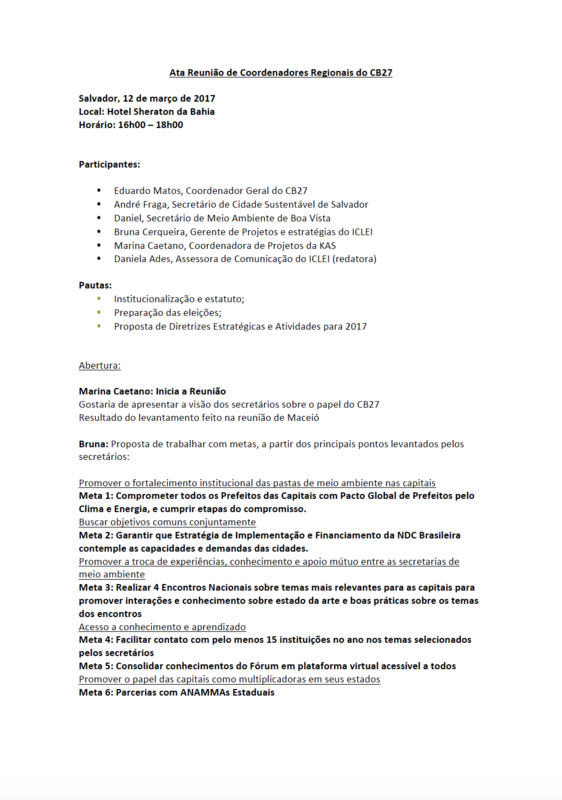 The focus of the contributions was on funding climate action in cities and recognizing the role of urban centers in this agenda.